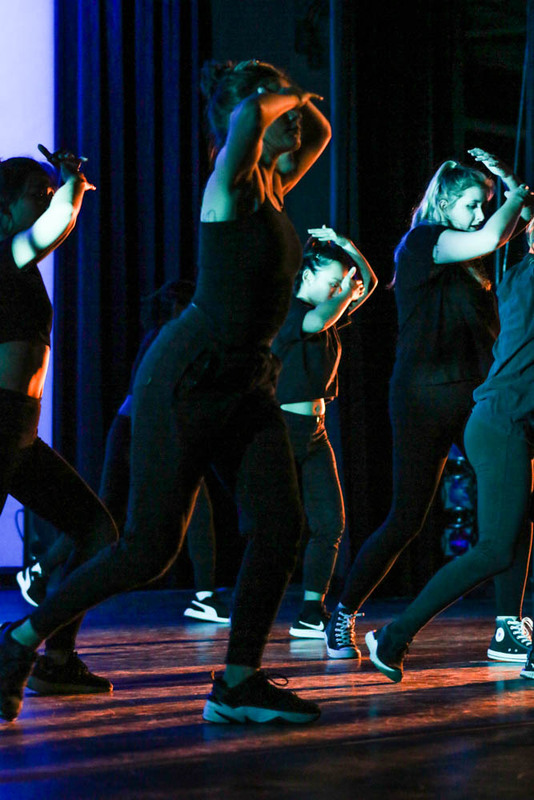 Occidental’s Dance Production (Dance Pro) is a student-led club that choreographs, plans and performs an annual dance show, which took place March 22–23. This year’s 71st production featured 16 different student-choreographed dances with themes ranging from ’80s Jazzercise to the movie “Shrek” and dance styles including Broadway, tap, contemporary, Bollywood and hip-hop. According to co-presidents Maya Crawford (senior) and Anna Holm (senior), Dance Pro is special because it cultivates an inclusive performance environment. Crawford and Holm said that Dance Pro accepts students from all skill levels, whether they are just beginning or have danced for many years. They explained that the club’s intent is for participants to have fun, not to be competitive. Both Crawford and Holm said they wanted to participate in Dance Pro before coming to Occidental. They both grew up in dance communities and knew they wanted to be part of Dance Pro’s atmosphere and contribute to its impact on campus. “My favorite part of the shows is talking to audience members after the show when they tell us, ‘Great job!’ and talk about wanting to join next year,” Crawford said. 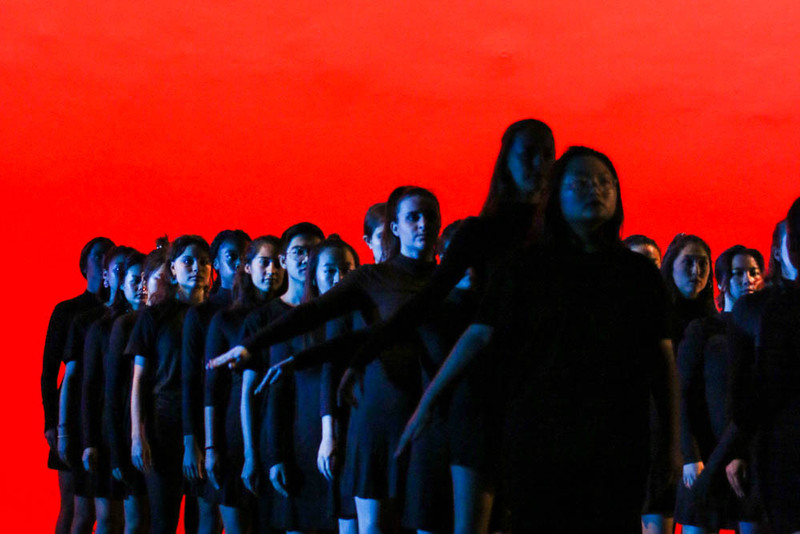 This year, Dance Pro was preceded by Arts Week, a week-long celebration honoring student artists and their work at Occidental. Members of Dance Pro’s executive board organize events throughout the week to provide students with a space to showcase their particular talents. 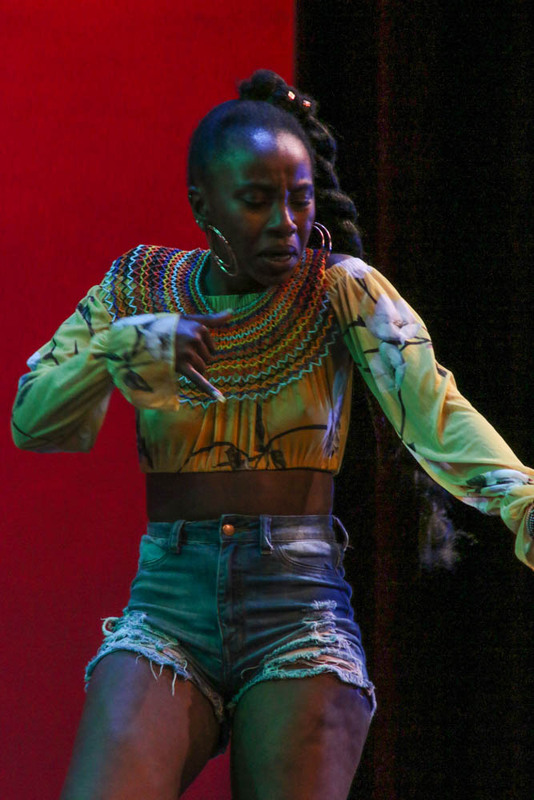 In addition to featuring student performers and artists, Arts Week also aimed to energize the Occidental community for Dance Pro at the end of the week, according to an email from Dance Pro Community Engagement Coordinators, Molly Ellrodt (sophomore) and Natalia Guerra (junior). As part of Arts Week, several students and groups performed on the quad, including Daviona Moore (sophomore), Dance Team, Pulse After Dark and Fantastiprov. Dance Pro is also driven by its new members and choreographers. Allison Wilson (first year) and Kai Morfin (first year) were picked as choreographers through a series of auditions. Morfin said what makes Dance Pro so special is not only the cast and crew’s overwhelming support but the people he met during the process. He said audience members may not appreciate or realize the work that goes into making a three-minute performance for a show. In reality, the dancers dedicated an entire year to practicing their choreography. Every year, each dance is different, and new styles are constantly brought in — a feature of Dance Pro that Wilson especially appreciated. She explained that some of this year’s routines featured 50 dancers while others featured a mere six. These routines spanned a diverse range of styles from traditional Chinese fan dancing, choreographed by Leeza Lu (sophomore), to modern African, choreographed by Waruguru Waithira (senior), to modern and traditional styles of Indian dance, choreographed by Ahladini Veerina (junior), Harjas Dhillon (sophomore) and Jagmit Dhami (junior). New ideas and dance styles surface every year, according to Wilson and others; Dance Pro continuously strives to recognize all dance styles. Rachel Sidebottom (junior), another audience member, said she appreciated not only the performance but its ability to bring Occidental together.